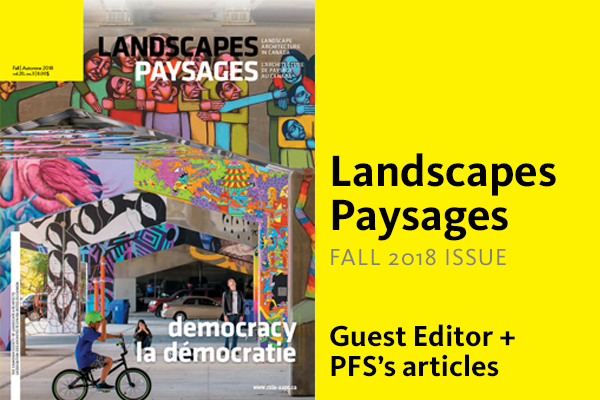 PFS guest edits this month’s Landscapes Paysages. Kelty McKinnon Guest Edits this month’s journal, with several PFS contributing writers – Sophie Maguire, Stephen Wilkinson, and Mark Vandendugen. Our team has been busy! Here is a link to the publication – take a look and tell us what you think!